Need fantasy adventure ideas in wilderness or frontier areas? Use our SideQuest Decks: Wilderness & Frontier Fantasy. Each card is a dynamic adventure! Each adventure in this deck has a fantasy theme in a wilderness or frontier setting. SideQuest Decks are perfect for stocking a hex crawl or developing a side trek on the fly. You may even chain several together for an entire campaign! Your PDFs won't open in any reader I've tried. What's up with that? Anyone else having an issue? My best guess is a download went bad or something like that because the files haven't changed in months and previews are auto-generated from the same files. Maybe try downloading again? I'm also having no luck opening sidequests-wildernessfrontier-hp.pdf - deleted and dl'd again with the same result. Yep, that appears to be what it was. The eighth time I downloaded it apparently downloaded correctly. Thanks for the quick response. For me it was the other way around. 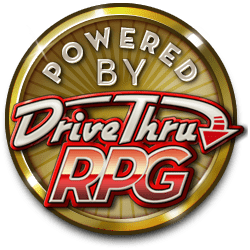 Seems like maybe DTRPG is having some kind of issue? I had a couple page timeouts trying to load, so that's likely it.